“It snowed!” squealed Nim as he twirled around the room. 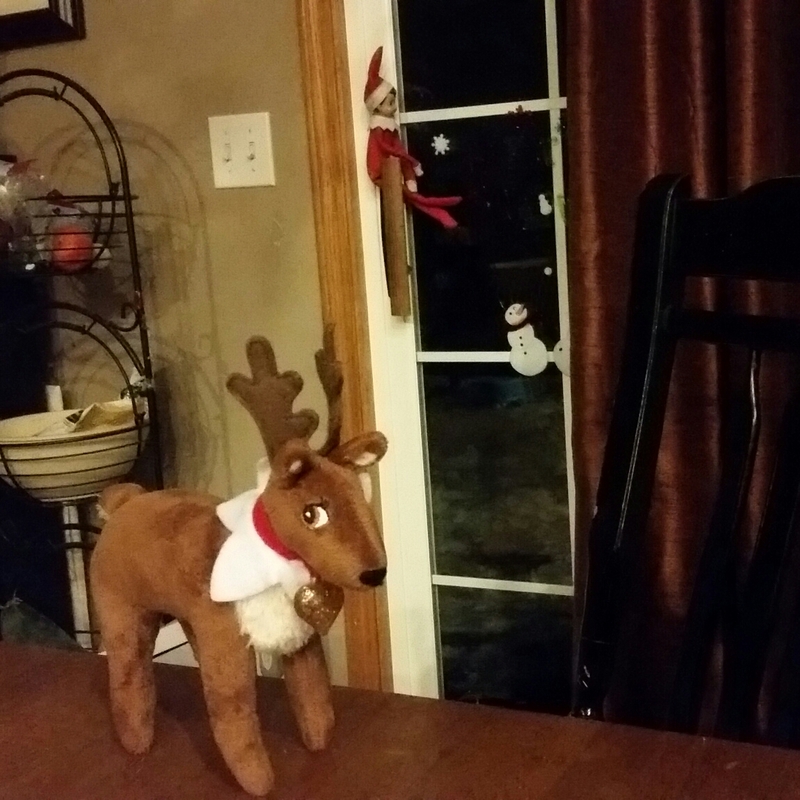 Glitter watched him with a smile, glad that all had gone well at the North Pole meeting with Santa and all of the other reindeer. Nim started to argue, but Glitter wouldn’t listen. Nim slowly shook his head and gazed out the window at the fat, fluffy flakes falling lightly from the dark sky. There must be something he could do to get Glitter to play again. “No, no. Not a snowman…a whole army of snowmen!” Nim said as he soared away. Glitter looked after Nim in some alarm. He couldn’t be serious. Could he? A crash and an oomph! came from the kitchen. 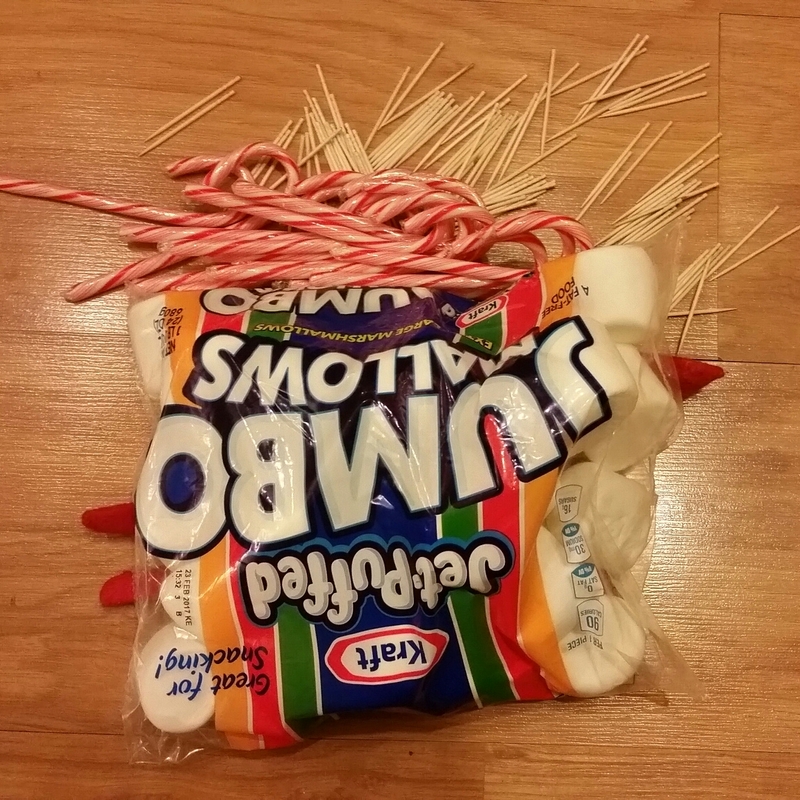 Glitter rushed over to find Nim on the floor, a bag of marshmallows covering all but his hat and feet and toothpicks everywhere. Glitter, glad Nim wasn’t hurt, sighed with relief. But he was already out of the room. 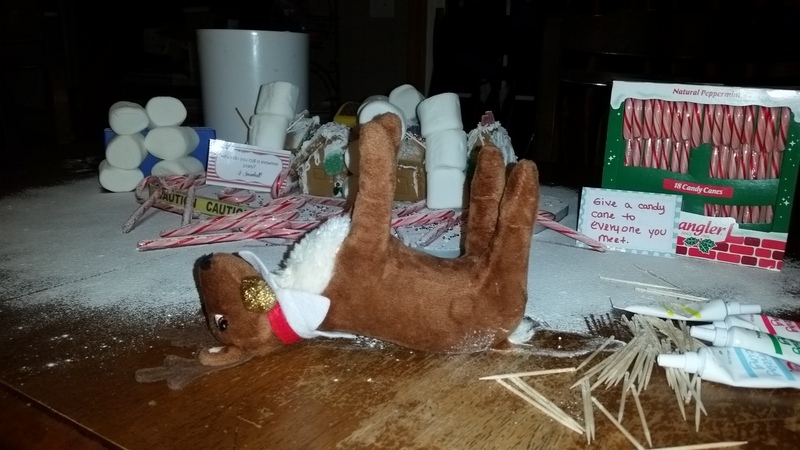 She slowly gathered up the toothpicks and a the icing tubes and followed his trail. When she caught up to Nim, she stopped. The toothpicks she’d been carrying scattered across the table. Nim was twirling and spinning above the table. 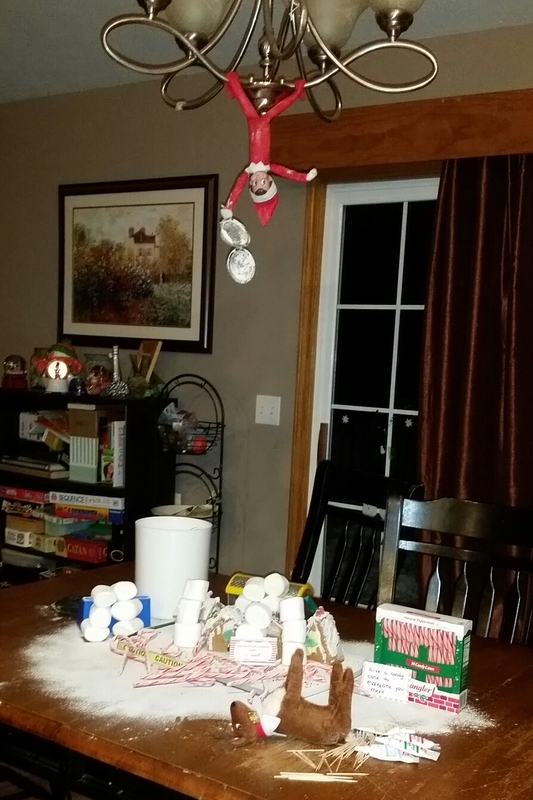 Every few minutes, he’d dive into a white canister and come up with a cloud of flour that fell slowly to the table, covering dozens of marshmallow snowmen. “Wh-what are you d-doing Nim?” asked a horrified Glitter.